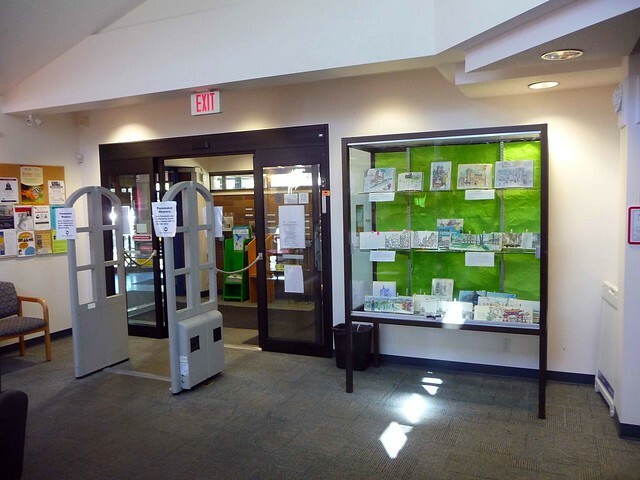 A fellow urban sketcher from Victoria, BC, Matthew Cencich, organized a sketchbook display at the Oak Bay Library in Victoria, BC. He asked six other sketchers, including me, from all over the world to send him books: Kumi Matsukawa (Kanagawa, Japan), Luis Ruiz (Málaga, Spain), James Hobbs (London, England), Virginia Hein (Los Angeles, USA), Gabriel Campanario (Seattle, USA; he is the founder of the Urban Sketchers organization), Matthew himself, (Victoria, Canada), and me, (Vancouver, Canada). 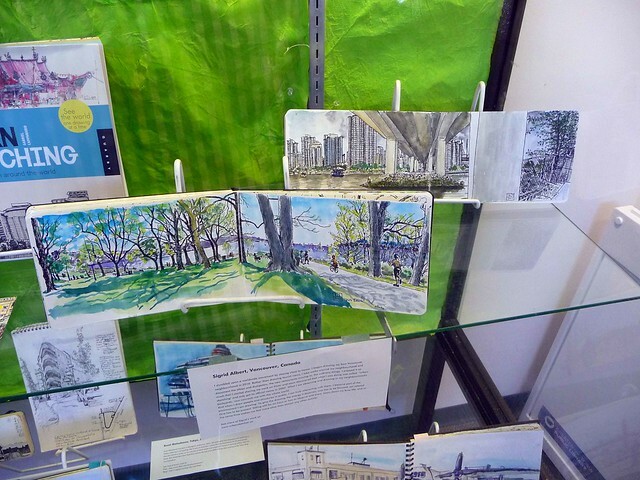 Matthew Cencich organized this urban sketchbook display at the Oak Bay Library, in Victoria, BC. Two of my sketchbooks. To see other people’s sketchbooks closer up, click on one of these photos to see more on my flickr. He also blogged about it here. Matthew did a great job organizing this exhibit, setting it up with the library, and mounting and labelling the sketchbooks. Thank you, Matthew! I bet this will inspire similar exhibits around the world. The sketchbooks will be on display until the end of June. Too bad I can’t make it over there during that time. I loved your display here at the Central Library and was wondering if you would consider putting together a display at the Juan de Fuca library in 2014.